WordPress is the most popular content management system. But how to create a site using WordPress when you are a newbie? Where to start and how to proceed?
. 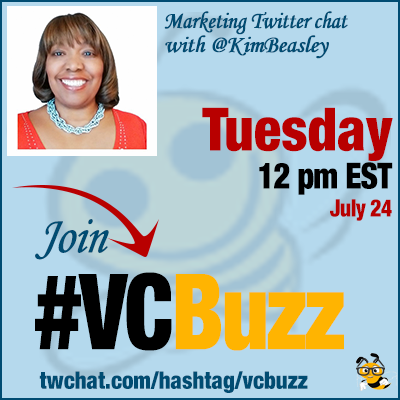 @KimBeasley is hosting our Twitter chat for the second time. Q1 Why WordPress? Why did it become so popular in your opinion? Ease of use, easy to learn, SEO built-in, and great was to build online presence. Also, @WordPress allows you to easily add functionality to your website that can help your business grow. I feel that it because popular because it’s easy to learn and use. Q2 When a person is absolutely new to building websites, should they attempt to do everything themselves? Or better to seek help? Yes, if you are technical enough to understand how websites work. No, if you are technically challenged. There’s a lot of @WordPress training available online that can help you learn how to create & manage your website. I offer coaching to entrepreneurs that teach how to create and manage your own website. Power is in your hands! Plan-Do-Check-Act (PDCA). Plan your web strategy. Do your plan. Check progress. Act on improvements. There are many steps that depend on your business type and whether you will build and manage it yourself. There are so many. My favorite trick are some of the plugins I use that make using #WordPress so much easier. Also having the right theme is very important. Q4 What are some of the most useful resources to read about setting up a WordPress site? Just make sure that the training incorporates support. That way you can have someone help you if you get stuck. Q5 What are your favorite WordPress plugins? Also like @WebTextTool, Google Analyticator, @JivoChat. More on my blog. Just remember that you don’t bog down your website with too many plugins WordPress. My favorite theme for #WordPress that I use on my sites and my client sites is @ThriveThemes. My favorite live chat plugin is @Jivochat. My favorite membership plugin that I use with @ThriveThemes is Wishlist Member (@wishlistproduct). #ThriveThemes is plugin based. You can use which ones you want installed and I like that. Yes, definitely @Wordfence. I have it on all of my sites and my client sites.